The Confederation of Paper Industries (CPI) has announced a new programme to support councils in improving the quality and amount of paper and card separately collected for recycling. OUR PAPER is an initiative that aims to promote the value of paper that local councils collect on behalf of the public, a resource that creates income from recycling services. It has been devised in partnership with WRAP and supports its work on recycling consistency. The programme aims to encourage councils to consider service review and promote the benefits of a separate collection for paper and card, while emphasising the opportunities for improving efficiency and the cost saving potential from other changes in recycling services. It will use evidence by the WRAP consistency project to demonstrate a business case for this approach. OUR PAPER will also brief councils on the important changes in the recycling markets as a result of the China waste ban, and the growing situation in other Asian markets. 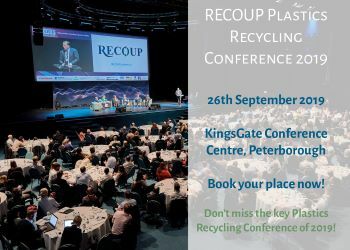 It has engaged with Resource Association chief executive Ray Georgeson to lead the programme, which is supported by a Steering Group from CPI, its members and WRAP, and is chaired by Sarah Raymond from Palm Recycling. The programme is funded by CPI and its members with an anticipated three-year lifespan and is launched with a market briefing for councils and an open offer of support. Leader of Our Paper Ray Georgeson said: “I am delighted to be working with CPI and WRAP on this timely initiative to councils. Ensuring ever improving quality and quantity of paper and card for recycling has never been more important – recent events in China and SE Asia have shown that starkly. Chair of the OUR PAPER Steering Group Sarah Raymond said: “The coming months and years will see significant changes in the way we manage recycling. Future developments in Extended Producer Responsibility, food waste collection and enhanced consistency of collections are rising up councils’ agendas with forthcoming Defra consultations on all these issues.